Watching Hannah process through what she experienced, the decisions she’s considering making regarding herself, her platform, and her career is both breathtaking and heartbreaking. 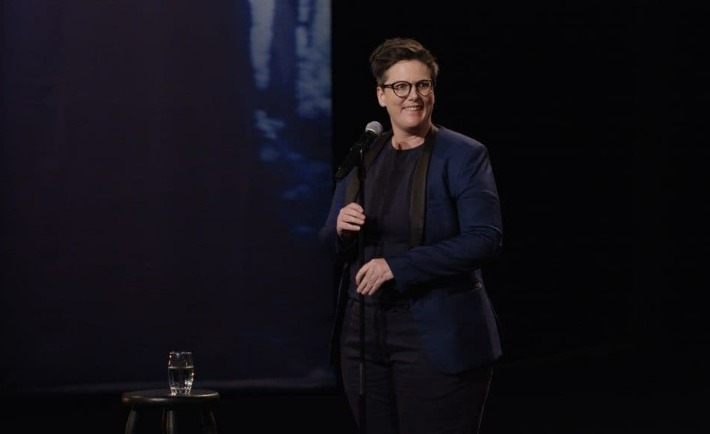 Hannah Gadsby’s “Nanette” might be the most important comedy special…ever. What starts out as a self-deprecating comedy routine turns into an exploration of what it means to be a minority who uses humor as a means to hide while speaking the plain and ugly truth. The transition between laughter and tears is mesmerizing. I chuckled along with Hannah until it became clear that both of us were laughing so that we didn’t cry. I resonated so strongly with her message that after viewing I felt compelled to share what I’d learned with people so that they too could understand what happens when people’s voices are silenced in order to preserve the status quo. It’s a relevant topic for today, and for many people. Hannah speaks from her experience as a white lesbian who grew up in a place where it was a crime to be queer, but the struggle to survive, to hope, to find love and acceptance, is a message universally needed. It is vital that we hear Hannah’s message. While some may not agree with the conclusion she reaches, it is important to hear her and then consider where you are as well as your response to her challenge. Seeing Hannah articulate what so many of us (whatever our experiences) have felt is incredibly cathartic. It’s like being in space and seeing the entire world for the first time. She has given us all an incredible gift, a way to find the balance between empathy and anger. If you have not yet seen it, you can watch “Nanette” on Netflix, and let it change the way you see your place in the world.